Alaska Air Group Inc. has announced it has closed its acquisition of Virgin America. The definitive merger agreement, which was signed in April and approved by Virgin America shareholders in July, brings together two airlines into a unified force that will provide an alternative to the "Big 4" airlines that currently control 84 percent of the domestic market. Alaska Airlines (NYSE:ALK) and Virgin America (NASDAQ:VA) will spend the next year working to secure FAA certification to allow the two airlines to operate as a single carrier, with regional sister carrier Horizon Air remaining on its own separate operating certificate. 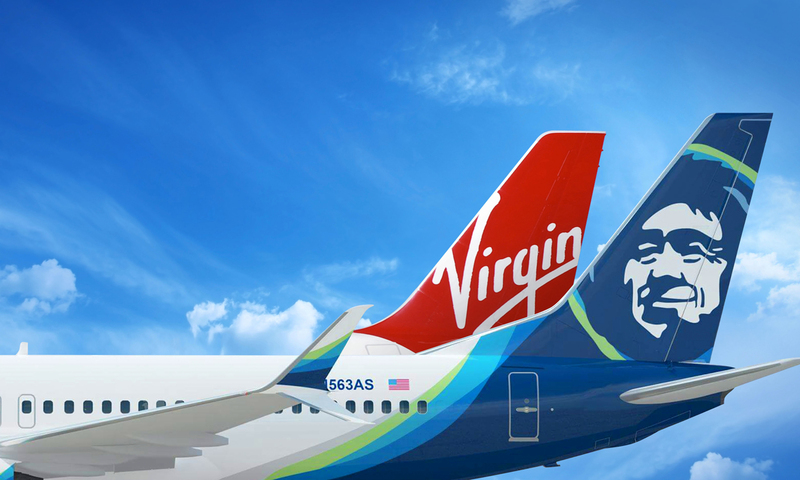 "Alaska Airlines and Virgin America are different airlines, but we believe different works – and we're confident fliers will agree," Brad Tilden, CEO of Alaska Air Group,s aid in a statement announcing the closing of the transaction. "The two airlines may look different, but our core customer and employee focus is very much the same." "This partnership is positive for California air travel consumers and demonstrates an investment in our state," Gavin Newsom, California's lieutenant governor, said. "Both airlines boast a strong history, and we look forward to seeing their innovative spirit magnified with their global international network of partner airlines." No decisions regarding the Virgin America brand have been made. Alaska plans to continue to operate the Virgin America fleet with its current name and product for a period of time while it conducts extensive customer research to understand what fliers value the most. Virgin America will continue to fly under its brand with no immediate changes to the onboard product or experience. "We appreciate that there is great interest in the future of the Virgin America brand among customers and employees alike," said Tilden. "This is a big decision and one that deserves months of thoughtful and thorough analysis. We plan to make a decision about the Virgin America brand early next year." Starting Monday, Dec. 19, Mileage Plan members will be able to earn miles on Virgin America flights, and Virgin America Elevate members will be able to earn points on Alaska Airlines flights. Both airlines' elite members will receive priority check-in and priority boarding on each other's flights. 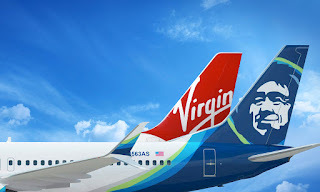 Additionally, starting Dec.19, customers will be able to purchase Virgin America tickets at alaskaair.com. Tickets will continue to be available for sale at virginamerica.com for the immediate future. Beginning Jan. 9, Virgin America Elevate members will be invited by Alaska Airlines to activate new Mileage Plan accounts. This will allow them to also earn Mileage Plan miles when flying with Alaska and any of Alaska's Global Partners to over 800 destinations worldwide. Alaska Global Partners account for 44 percent of all international airline seats flown to and from the U.S. and offer more than three times the worldwide destinations that Virgin America frequent fliers currently have access to. "Virgin America Elevate members and Alaska Airlines Mileage Plan members will enjoy reciprocal rewards earning across each other's networks," said Tilden. "We plan to make this the most customer-friendly merger ever, and we will have much more to announce over the coming weeks."